Glider PILATUS B4 was produced in Pilatus factory in Switzerland, it was all-metal model and there was 300 pieces made. The standard version of PILATUS B4 was approved for club flying only, the strengthened version for acrobacy as well. 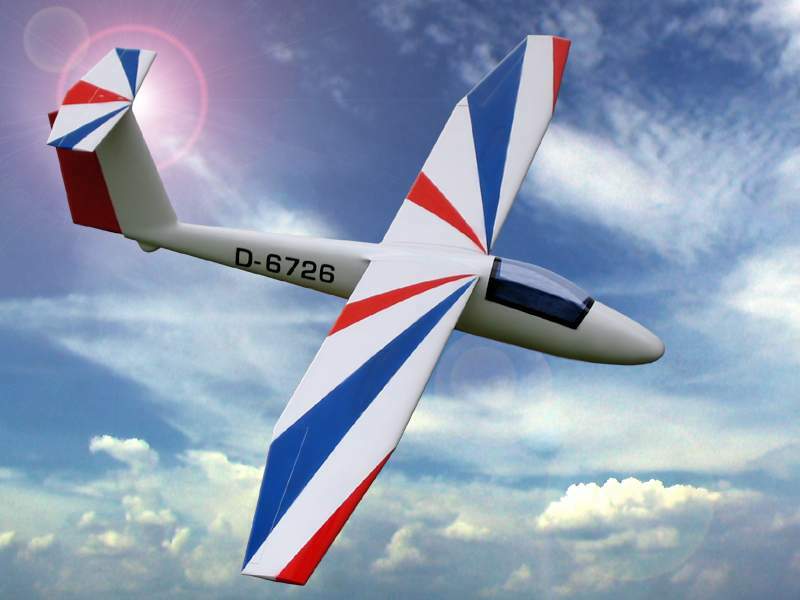 Our company produced a glider model of PILATUS B4, all-laminated, scale 1:5. PILATUS B4 model is designed for slope and acrobatic flying.